The New Year is popular for detox regimes after the excesses of the festive season, although in Chinese medicine, it’s thought that spring is a better choice because it represents a time of birth, rejuvenation, and purification. Traditional Chinese Medicine tells us that the body changes in response to the seasons of the year. Most people feel a change in their energy in springtime, such as a lift in your spirits, a desire to start new projects, or the urge to be outside more. The brighter evenings and warmer weather make it more appealing to move away from heavy comfort foods and towards lighter, fresher dishes. Detoxification is the body’s way of doing the internal housework, that is removing and breaking down harmful and unwanted substances that would otherwise disrupt normal bodily function and do harm to cells, tissues and organs. The truth is, detoxification is a process that happens all the time without you knowing it, not just when you decide to ‘do a detox’ but our diet and lifestyles may prevent optimal detoxification from taking place. By consciously cleaning up our diets and taking in cleansing foods, many benefits can be realised, such as increased energy and vitality, weight loss, clearer skin, reduction in cellulite and a sharper mind. 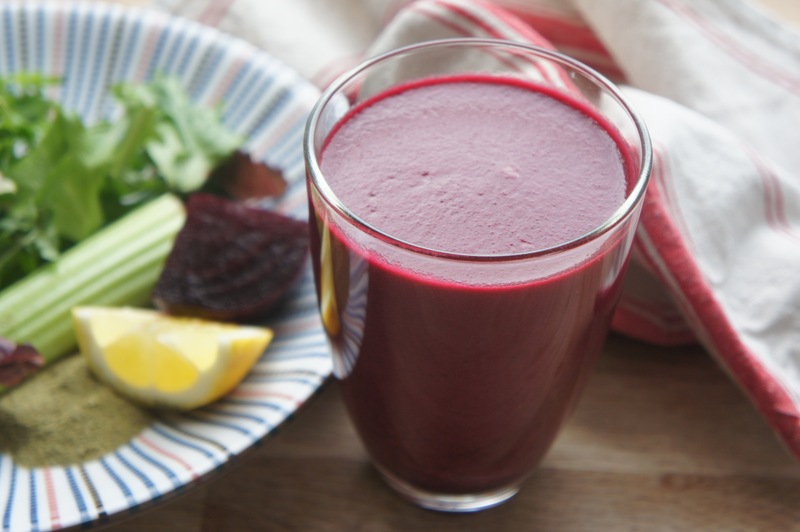 This liver detox smoothie contains alkalizing coconut water, soothing and detoxifying aloe vera juice, and mineral-rich, alkalising greens to encourage the cells to clear out debris. It also contains liver friendly foods like beetroot, lemon juice and carrot to help support bile flow and liver detoxification. Try and make one every day for two weeks, your liver will thank you for it. Put all the ingredients into a high-powered blender, and process until completely smooth.